ATEX-Certified Air Powered Industrial Vacuum, 30 gallon, 100 CFM, Pulse-Jet Filter Cleaning Vacuums for Class II Div II Environments Model 40008SS. 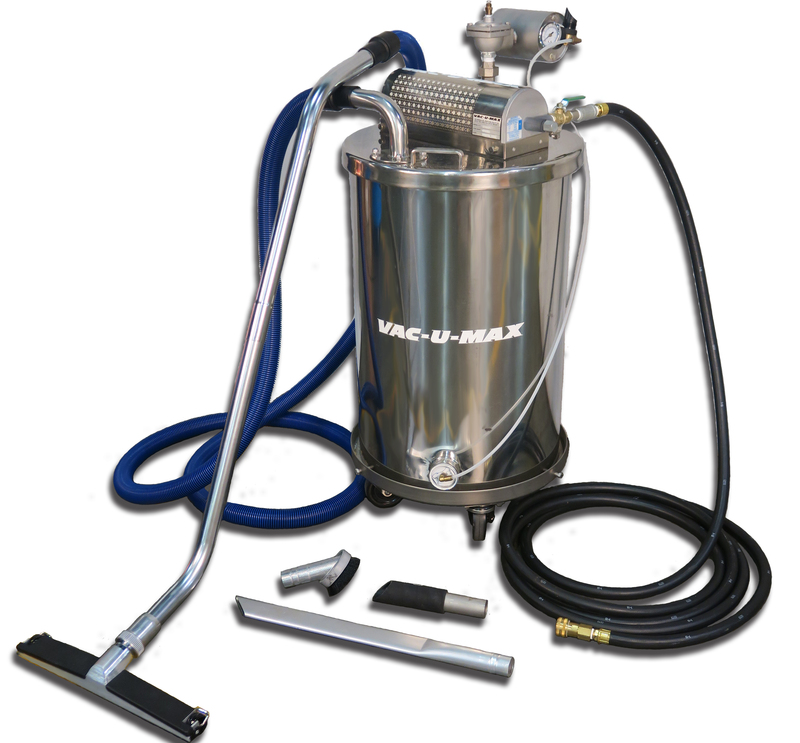 VAC-U-MAX 30-Gallon air powered industrial vacuum, Model 40008SS for Class II, Division 2 environments is completely grounded and bonded to meet the NFPA 70 requirements for grounding and bonding. These vacuums also meet the definition of an "intrinsically-safe system". VAC-U-MAX air-powered vacuums do not use electricity and do not generate any heat from operation. Extra Large PTFE (Teflon) coated static conductive internal dust filter rated 99.9% efficient @ 1 micron. Dolly with drum hold-downs, (4) 4”static conductive swivel casters for easy maneuverability.